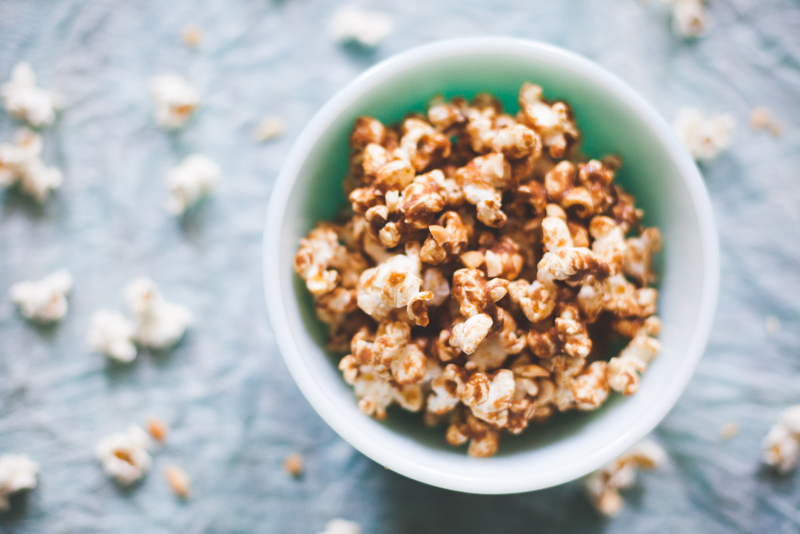 Turns out that if you combine it with popcorn, you've got the perfect cozy fall night snack! My mom used to make this recipe when I was little. 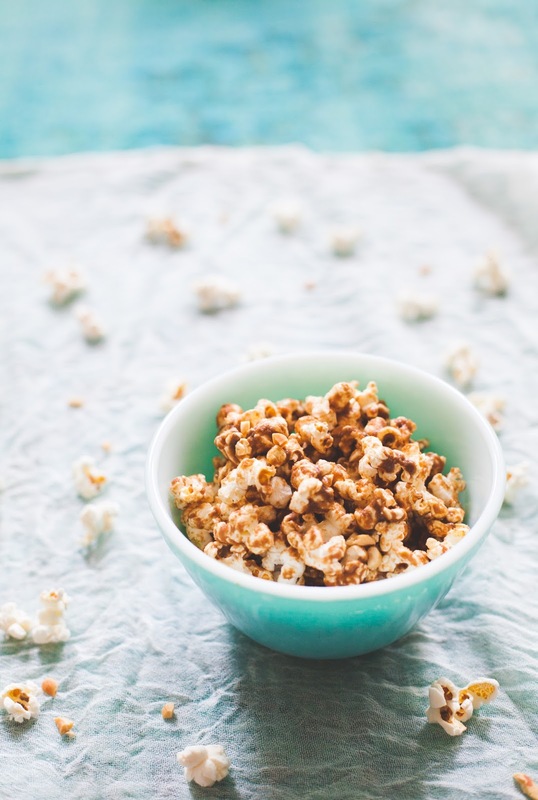 She loved popping up popcorn as an easy treat for us kids, and she was pretty creative about it. There were all kinds of flavors up her sleeve, but PB would always reign supreme for me. So I decided to dust it off for old time's sake. + Dissolve the brown sugar in 1/2 cup water. + Add brown sugar mixture. Simmer for 7-10 minutes, or until most of the water has cooked off. + Let cool for 5-10 minutes. Be careful, the mixture will be very hot! Also, WARNING. This recipe was a little bit addictive. Share liberally! I've had caramel popcorn (which is so addictive to me by the way, holy crap haha) but I've never tried peanut butter popcorn before! I'm such a massive peanut butter fan though I bet I'd love it.